Women are the custodians of biological resources in most of the African communities. Therefore, increasing women’s involvement in bioeconomy initiatives is an important step towards an inclusive and sustainable economy in Africa. 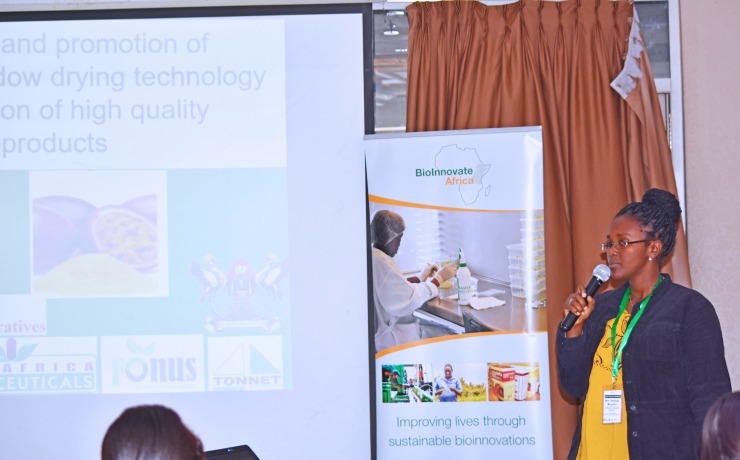 BioInnovate Africa started a ‘BioInnovate Africa Fellowship for Women Scientists’ in 2018 to promote women’s participation in bio-entrepreneurship and bio-innovation. The fellows receive mentorship, resources, networks, and experiences necessary to advance their skills, innovation capacity and overall career progression. 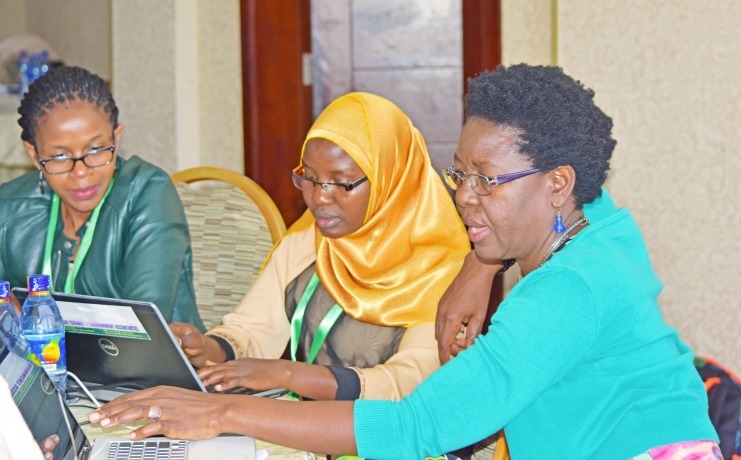 Nadege Mugisha, an Electronic engineer and Lecturer from Burundi , Zainah Nampijja an Insect scientist at Makerere University and Diana Asero, an Agricultural economist from Busitema University in Uganda share their experience as pioneers of the BioInnovate Africa Women Fellows Scheme. Smallholder farmers in eastern Africa produce a diverse variety of fruits and vegetables that have unique nutritional and economic value. However, the value that can be derived from these crops is adversely reduced due to postharvest losses, seasonal production, limited value addition and challenges in market access. This in turn compromises food security and economic empowerment in the region. The use of affordable food preservation technologies has the potential to reduce postharvest losses by up to 68%. 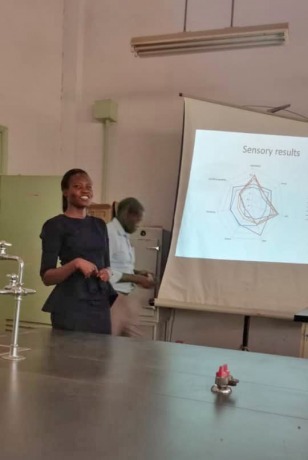 Nadege Mugisha, a BioInnovate Africa fellow and electronic engineer from University of Burundi, has been actively participating in the development and fabrication of the Refractance window drier under the mentorship of Prof John Muyonga and Dr Julia Kigozi from Makerere University, Uganda. During the four-month fellowship, Nadege has had the opportunity to interact with scientists, visit fabricators developing the refractance window dryer thus gaining experience in the designing, testing, fabricating and commercializing the technology. In the process, she has improved her research and publication skills. 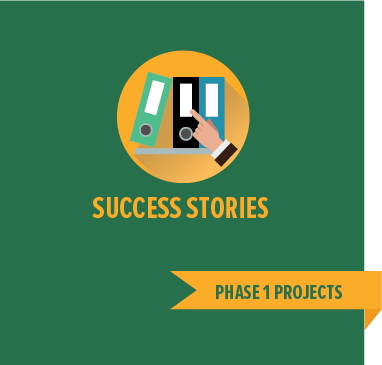 “With guidance from my mentor and my engineering experience, I have developed a logical framework for a research proposal for a solar water heating system to be used as a power generation system for the dryer in areas with no electricity”. Working away from her home and country has helped Nadege to learn to adapt to new and academically challenging environments, as well as expand her professional network. The importance of goal setting and measuring personal and organisational progress and persisting until these goals are achieved. “As a woman scientist in the early stages of my career, I am now convinced that I should never give up before the achievement of my career goals despite the societal duties and challenges as a woman”, Nadege recounts. After the fellowship, Nadege plans to pursue a PhD degree and in addition actively engage other young women in Burundi to get involved in research and innovation as a solution to poverty and unemployment. Zainah Nampijja was preparing to defend her Masters thesis when she was nominated for the BioInnovate Africa Women Fellowship. This nomination and eventual placement in the Insect Protein project was a welcome opportunity to further her research and interest in insect science. For the fellowship period, Zainah has been carrying out a detailed analysis of different insects (specifically amino acids, fatty acids, minerals and vitamins) to identify their nutritional requirements with the aim of developing a feed formula for the production of crickets and grasshoppers. Specifically, she has been assessing the potential of Black Soldier Fly larvae instars as an alternative protein source in cricket and grasshopper diets. According to Zainah, one of the important lessons she learnt was that, there still exists gaps in knowledge on insects as a source of food even though many discoveries are still being made. This insight has revealed to her the need for continuous research to update one’s knowledge. Globally, more than 2 billion people rely on different insects to supplement their diets. In eastern Africa, protein-rich edible insects are increasingly becoming a viable and sustainable alternative to animal and plant protein for improved food and nutrition security. Therefore, Zaina’s work with Dr Dorothy Nakimbugwe of Makerere University, Uganda will contribute towards finetuning the rearing techniques of grasshoppers and crickets to ensure their consistent market supply in safe and hygienic conditions. On completion of the fellowship, Zainah tells us that she will continue to work on insects as food and feed and later pursue a PhD in the same field.